Impossible Foods’ award-winning, plant-based meat is now served at all sixteen locations of Hong Kong’s premier California-style Mexican restaurants, Cali-Mex Bar & Grill and Taqueria. Impossible Foods’ flagship product is featured on Cali-Mex menus as popular Mexican dishes – such as tacos, quesadillas, nachos, burritos, and enchiladas – and the chain’s unique preparation of Mexican Lasagna. 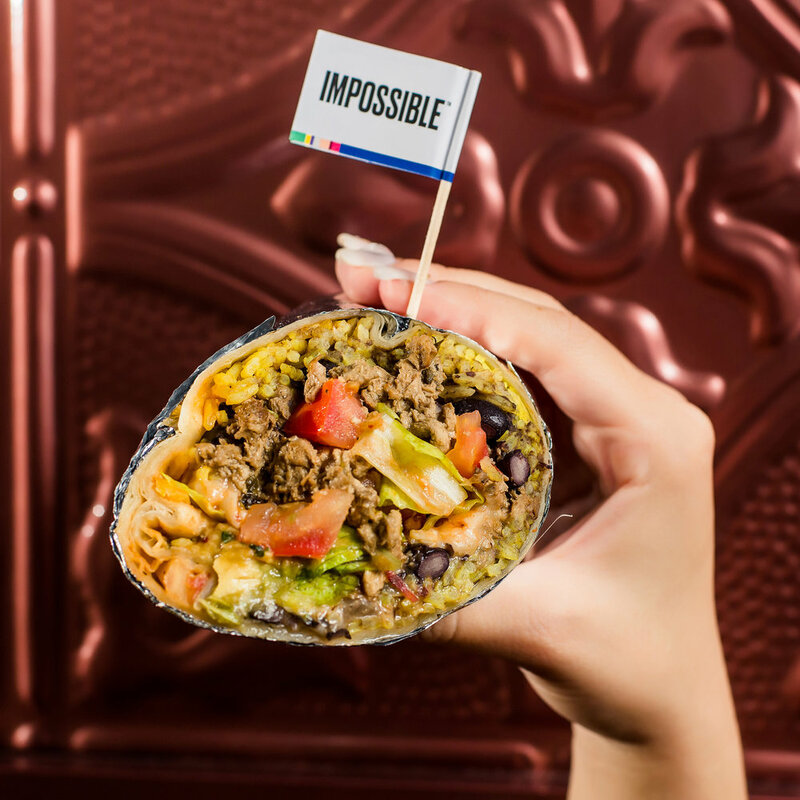 Seasoned and seared in a similar fashion to Cali-Mex’s original beef filling, Impossible’s plant-based meat can be selected as the primary protein in all of the restaurants’ classic dishes for an additional HK$20. Impossible Foods’ plant-based meat is served in nearly 3,000 restaurants across the United States, Hong Kong, and Macau -- from award-winning restaurants to mom-and-pop diners to America’s original fast-food chain, White Castle. Most restaurants serve the Impossible Burger with traditional condiments and sides, but the versatile product can also be used in any ground-meat dish, including dumplings, noodle bowls, salad toppings, sausages, meatballs, breakfast sandwiches and more. Impossible Foods is rapidly expanding in Asia. In April, the California-based food startup made its international debut in Hong Kong with some of the world’s leading chefs, including May Chow (Little Bao, Happy Paradise) and Uwe Opocensky (Beef & Liberty). Impossible meat is now available in over 30 restaurants in Hong Kong, including Urban Bakery Works, Plat Du Jour, and Alto, and five-star hotels Hotel ICON and The Peninsula Hong Kong. In July, Impossible Foods hit menus in Macau at the renowned resort destination, Galaxy Macau, and three of the property’sacclaimedrestaurants: CHA BEI, The Apron Oyster Bar & Grill, and The Noodle Kitchen. Cali-Mex Bar & Grill and Taqueria locations place heavy emphasis on high-quality ingredients and in the preparation of their fresh and inspired food. At the sixteen Cali-Mex locations, Impossible meat will be featured in six signature dishes: Impossible Tacos(HK$108) with 3 freshly baked corn (crispy or soft) or flour tortillas, filled with lettuce, pico de gallo, a blend of cheeses, and sour cream; the ImpossibleQuesadilla (HK$158) filled with a blend of cheeses, pico de gallo, served with greens, sour cream, and guacamole; the hefty ImpossibleBurrito(HK$108) comes packed with pico de gallo, blended cheeses, sour cream, a choice of beans, and rice; ImpossibleNachos (HK$158)made with fresh corn chips or fries, topped with pico de gallo, melted cheese, jalapenos, sour cream, and guacamole; ImpossibleEnchiladas (HK$148) stuffed with Impossible meat in a fresh corn tortilla, topped with a red chili pepper sauce, covered in cheese and baked; and the Impossible Mexican Lasagna(HK$158) layers of corn tortillas with veggies, topped with a blend of cheeses and baked. All menu items can be made vegan, upon request, with dairy-free sour cream and vegan cheese. In development since 2011, the Impossible Burger debuted in July 2016 at Chef David Chang’s Momofuku Nishi in New York City. The Impossible Burger is the only plant-based burger to win a 2017 Tasty Awardand a 2018 Fabi Awardfrom the National Restaurant Association. Impossible’s flagship product is made from simple ingredients, including water, wheat protein, potato protein and coconut oil. One special ingredient — heme— contributes to the characteristic taste of meat and is the essential catalyst for all the other flavors when meat is cooked. Heme is an essential molecular building block of life, one of nature’s most ubiquitous molecules. Although it’s found in all living things and in virtually all the food we eat, it’s especially abundant in animal tissues. Impossible scientists discovered that it’s the abundance of heme in animal tissues that makes meat taste like meat. To satisfy the global demand for meat at a fraction of the environmental impact, Impossible Foods developed a far more sustainable, scalable and affordable way to make heme and therefore meat, without the catastrophic environmental impact of livestock. The company genetically engineersand ferments yeast to produce a heme protein naturally found in plants, called soy leghemoglobin. The heme in Impossible products is identicalto the essential heme humans have been consuming for hundreds of thousands of years in meat — and while it delivers all the craveable depth of beef, it uses far fewer resources. Impossible Foods makes delicious, wholesome food without slaughterhouses, hormones, antibiotics, cholesterol or artificial flavors. The Impossible Burger uses about 75% less water, generates about 87% fewer greenhouse gases, and requires around 95% less land than conventional ground beef burgers from cows.